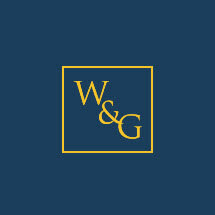 Wallace & Graham, P.A. is a plaintiff's litigation firm in Salisbury, North Carolina representing people throughout the United States. A primary focus of our practice is representing victims of mesothelioma, asbestosis and asbestos-related lung cancer. With almost 40 years of combined experience in this field, partners Mona Lisa Wallace and Bill Graham lead a team of skilled attorneys, medical personnel and support staff. We are committed to helping clients get prompt diagnosis and treatment, as well as rightful compensation for the medical care and pain and suffering. Unfortunately, many victims of mesothelioma never live to see justice served. We are equally dedicated in the pursuit of wrongful death suits to hold corporate entities accountable for their misconduct that needlessly exposed millions of Americans to the known dangers of asbestos. We have represented a wide range of asbestos victims, from shipbuilders and power plant workers to home remodelers and military personnel. Our advocacy aims to make workplaces throughout the United States safer by making it very, very expensive for employers and manufacturers to ignore the dangers of asbestos and the rights of workers. Wallace & Graham has even helped to change the law. In a case that took five years, we prevailed before the Tennessee Supreme Court in the case of a woman who died of mesothelioma at age 20. She was exposed from infancy to asbestos her father unknowingly brought home on his dusty work clothes. In 2003, Amanda Satterfield sued Alcoa, her father's employer. When the cancer took her life in 2005, her dad continued the lawsuit. In 2008, overturning a lower court ruling, the Supreme Court ruled that Alcoa did have a duty to Amanda — establishing that manufacturers are liable for "reasonably foreseeable" second-hand exposure. If you suspect your family member's symptoms are mesothelioma, asbestosis or another asbestos-related disease, contact us today. We can connect clients to top medical specialists for accurate diagnosis and progressive treatments to extend life. And we will take your case as far as necessary to obtain justice. The North Carolina law firm of Wallace & Graham has fought for and won compensation for hundreds of victims of mesothelioma, asbestosis, lung cancer and other cancers from asbestos exposure. Some people who were heavily exposed to asbestos never develop cancer or other illness. Others develop mesothelioma from indirect exposure, such as people who live near factories or wives who wash their husbands' work clothes. We have fought and won cases throughout the United States, including a significant number of cases on behalf of U.S. Navy veterans who were exposed during their military service. If you or a family member has an asbestos-related disease from service-related exposure, you may be entitled to veterans' benefits. You may also have grounds to sue the manufacturers of machinery and materials made with asbestos.